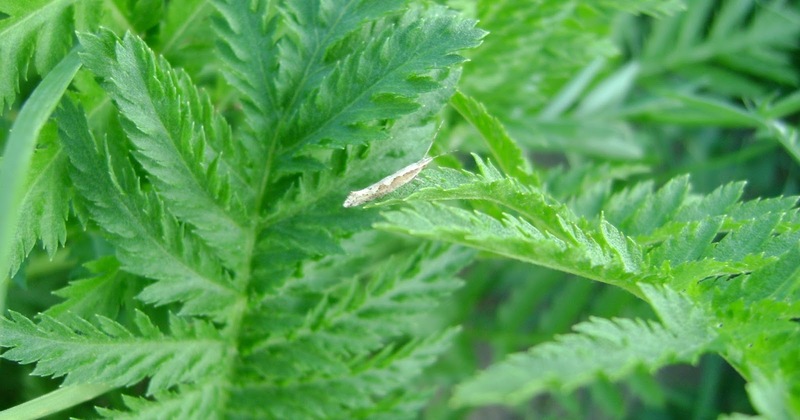 Carmarthenshire Moth and Butterfly Group: Diamonds galore! 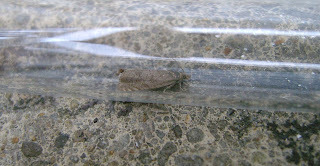 If I`d had a diamond for every diamond-back moth I saw on Friday evening (3/6), I`d be a rich man. 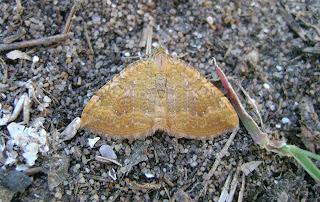 I had gone to the North Dock dunes LNR for some `dusking` and the diminutive and skittish diamond-back moths were everywhere - in the marram, lyme-grass, sea purslane...everywhere! There must have been hundreds. 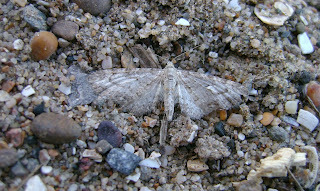 Indeed, they were so numerous that they were a bit of a nuisance, as I was `on the lookout` for other micros. Above: looking offshore, with the Burry Inlet and Gower in the background. Above: a poor photo of a diamond-back on tansy - they were very `jumpy` and I did n`t have time to stalk the blighters! Click on pic to enlarge. Above: more co-operative was this shaded pug. Above: ....and this yellow shell. Above: still to be looked at is this small tort but if anyone wants to suggest a name, feel free! I also had a couple of traps out in the garden at Pwll and two small actinics at a Llanelli allotment last night, but numbers of moths were not great, though diversity was quite good in spite of the clear skies. It was probably still sufficiently warm to entice moths to come out, though micros were almost absent, save one diamond-back in one trap and two in another. Privet hawk-moths (at both sites) were FFYs. Plant privet in your garden if you want to attract one, and allow it to grow as a free standing (rather than tightly-clipped) bush. Above: a trio of hawk-moths at Pwll; eyed, elephant and privet. Hundreds of Diamond Backs in Cwmllwyd meadows too. Don't think I've ever seen a Privet Hawk - lucky you! 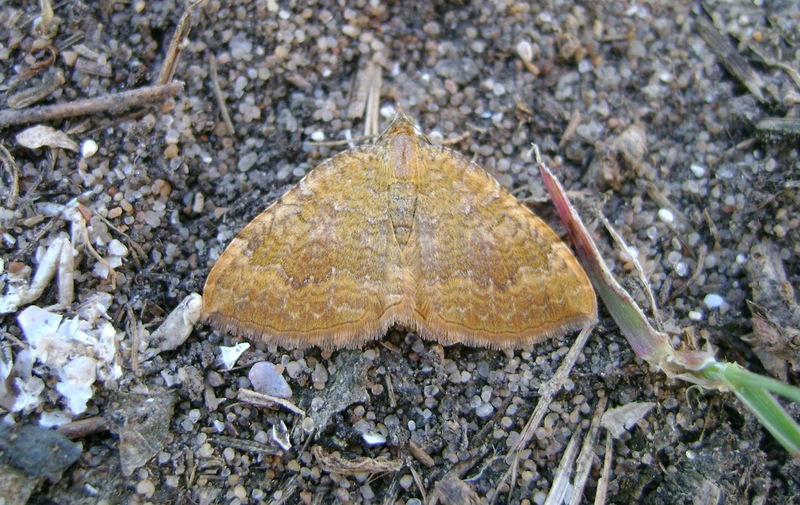 Please make sure you all document Diamond-back numbers in your area and when out on walks: it would be nice to have a detailed score of this influx! Thank you.